Last week, we reported that the QLD police is protecting one of their officers who illegally used their database to track a victim as a favour. Now, the officer in question is refusing to testify. He remains in the police force. The Queensland Police officer found to have illegally accessed the police database and leaked a domestic violence victim’s address to her abusive former partner (a man who is reported to be his “mate”) has relied upon the “privilege against self-incrimination” to avoid answering questions about the conduct. Yet, the officer has not been suspended let alone dismissed or charged, and remains in the police service. It has been reported that Senior Constable Neil Punchard declined to answer questions at a hearing in the Queensland Civil and Administrative Tribunal (QCAT) regarding the breach of privacy, instead invoking his privilege against self-incrimination. The woman whose details were leaked, known as “Julie*”, is fighting for compensation after being forced into hiding when the officer accessed the Queensland Police Service (QPS) database, QPrime, without authorisation and provided Julie’s new address to her violent former partner. The officer is reported to have even joked via text message with his abusive “mate” that Julie* would “flip out” after discovering she had been tracked down. 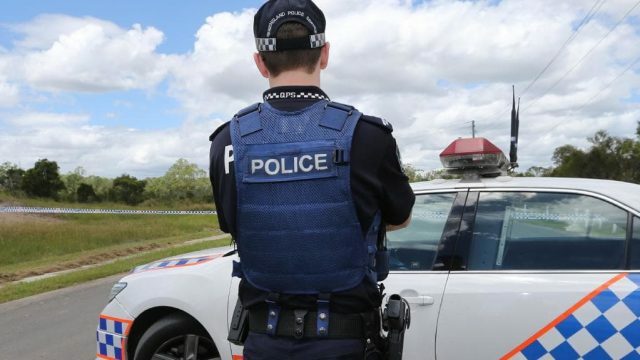 A complaint was made to Queensland’s Crime and Corruption Commission (CCC) about the incident, but the police watchdog saw fit to refer the case back to police for an internal investigation. The police investigation found that officer Punchard had engaged in misconduct, but the officer was not charged over his actions, dismissed from his position or even suspended. Officer Punchard has not spoken publicly about the incident. The privilege against self-incrimination – or “pleading the fifth” as it is known in the United States – entitles a person to refuse to answer questions or produce a document which would tend to incriminate them in an offence. The privilege is extended to individuals, but does not apply to corporations. It is embodied in Evidence Act across the nation. In NSW, a magistrate or judge retains the power to order a witness to answer questions if it serves the interest of justice. In the event that false evidence is given, criminal proceedings can be brought against the witness for perjury or attempting to pervert the course of justice. is liable to a civil penalty. In that situation, the court must determine whether there are “reasonable grounds for the objection”. If there are such grounds, the court must tell the witness they are not required to give the evidence unless ordered to do so, and that if they nevertheless willingly give the evidence they will be issued with a “certificate” protecting them from proceedings arising from the information contained in the evidence. the interests of justice require that the witness give the evidence. In that case, the court must issue the witness with the mentioned certificate. Officer Punchard is reported to have invoked the privilege a total of six times when asked questions about whether he understood the meaning of a breach of privacy, the rules of access to the QPrime system, and the rules around the disclosure of information. As a result, the QCAT member overseeing the hearing, Susan Gardiner, disallowed dozens of questions asked by Julie to witnesses. Julie is representing herself while a barrister and legal team are representing the government in the case. A police employee is reported to have told the hearing that the QPrime data system was capable of restricting access to details for vulnerable groups, such as domestic violence victims, but that no steps had ever been taken to do so. “It seemed this particular police officer was able to fairly readily access the system for his own purposes and didn’t need any other level of access,” Gardiner remarked. The tribunal also heard that police were required to complete a number of online training courses, including information security, and that Punchard had failed some in the past. The tribunal accepts as matter of fact that a breach of Julie’s privacy occurred. However, the government is arguing it cannot be held responsible under the applicable legislation for the rogue actions of a police officer. This argument is being made after the QCAT removed Punchard as a respondent on the basis that individual officers cannot be liable for privacy breaches. The QPS has fought Julie’s battle for compensation every step of the way, at first making written submissions arguing that Punchard should not be required to attend the hearing. Ms Gardiner has asked for additional submissions and reserved her decision. The case is expected to be finalised some time next year. In the meantime, the CCC has launched a fresh investigation relating to a Hyundai Sonata which belonged to Julie’s former husband, but was transferred to officer Punchard in 2015.